Kids with the week off can choose from a number of workshops over mid-winter break. Drop in on the afternoons to create colorful tapestries inspired by the clothing found in the museum's special exhibit Veiled Meanings: Fashioning Jewish Dress, from the Collection of the Israel Museum (Feb 18–20 and Feb 21–23, 1pm-4pm; ages 4 and up). 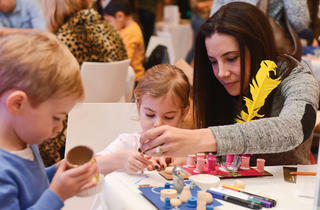 Go on a simulated archaeological dig to find featured artifacts with Archaeology Monday (Feb 19, 3pm–5pm; ages 3–10). 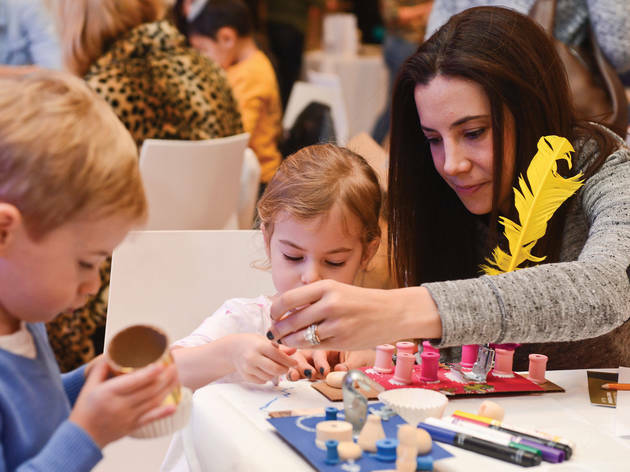 Preschoolers and their parents are invited to Art Explores, a program the involves exploring a current exhibit and then visiting the museum's art studio (Feb 20, 4pm–5pm; $10; ages 3-4). The vacation week ends with a special Purim-celebration, complete with costumes, puppets and a live concert from the Grammy-nominated band The Pop Ups (Feb 25 at 11:30am; $18; ages 3–8). Ages 4 and up.